Ever wondered where the Banff Trail Riders’ horses spend winter? It’s a pretty sweet gig – work six months of the year, then run free, eat, and hang with your buds for the other six months. Who wouldn’t want this life? 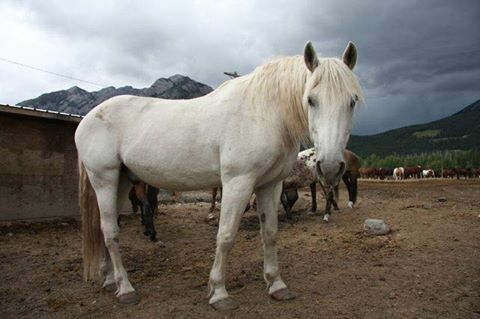 At Banff Trail Riders, that is the life of our 300+ horses each year. 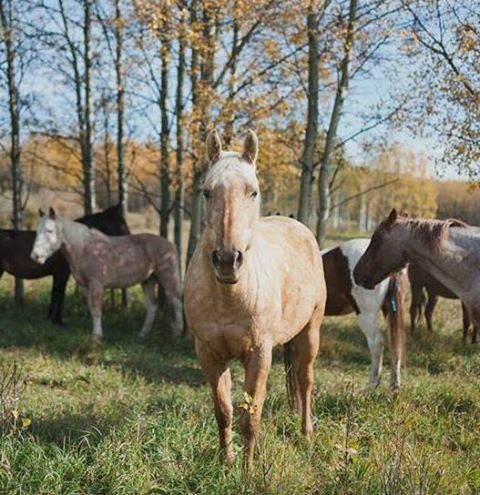 At the end of the season, we transport them back to our full-section of land (640 acres) where they get their shoes taken off and roam free in the wide-open Alberta foothills. While they’re out here, they get care and attention under the watchful eyes of Tyler Ritchie. Tyler is our lead backcountry wrangler who is in charge of the herd during the winter, and the horses know him well. They also know the sound of the tractor every day – with the sound of the tractor and Tyler riding behind the wheel. That’s equal to the dinner bell ringing and all 300+ horses come charging towards the hay. Approximately 800 1,200 lbs hay bales per year, in case you were wondering. Tyler does more than just put dinner on the table for his animals – he is the guy that fixes the fence when a moose has taken it down, he’s the guy that comforts the horse and gets it the care it needs when it’s had an accident (think of it like kids on a playground – once and a while, someone gets hurt), and he’s the guy that makes sure the shelves are stocked with the supplies needed make this operation run. He’s also the guy that notices when the horses start to shed. 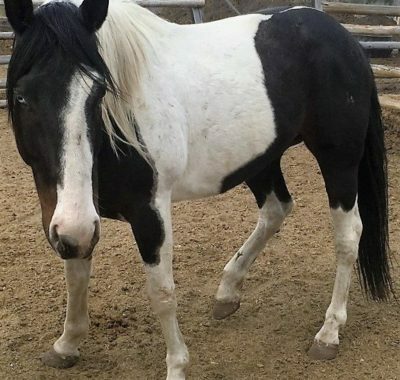 Horses shedding is an exciting time for us cowboys and cowgirls – it’s a telltale sign that spring is on the way. 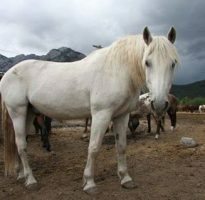 In late February, the horses start to lose their winter coats as the days get longer and warmer and we start to prepare for the best time of year – the summer season and the move of horses to our stables in Banff National Park. Before we transport our precious cargo of 27 horses at a time (using two horse trailers at a time, one that holds 12 horses, another that holds 15), we must check each horse’s health, trim their hooves and give everyone a good once-over. Much like human fingernails, horses’ hooves grow, and they need to be trimmed back for their health. To assist, we enlist student farriers from the local Olds College every March to come to the ranch and learn from us. Here we give each horse new shoes and individual care and attention to get them in tip-top shape to head back to their office. 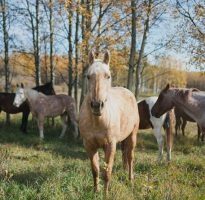 It’s a real-life Alberta story – grazing at the ranch on the foothills for their off-season with backcountry wranglers whose life is 100% all about the horses, their pride and joy. Come spring, the excitement gears back up again and the herd is brought back to Banff. Most people dream of having an office in the Rocky Mountains, and that’s the reality for these lucky steeds. 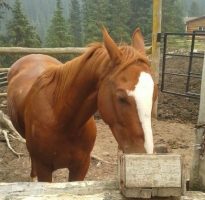 After they’re brought to Banff, each horse is fitted with a custom saddle that fits like a glove, providing maximum comfort for the animals. You’ll probably notice a piece of tape on each saddle with the horses’ name on it – this helps us match horse to saddle, but a few of our guides know all 300 horses by name. Now the horses are ready for duty – whether it be for our Banff horseback vacations with our tent trips and lodge trips, or our Banff horseback rides ranging from 1 hour along the Bow River, to a 3 hours climbing Sulphur Mountain, or the our Cowboy BBQ Cookouts that include a steakfry at our 3 Mile Cabin. 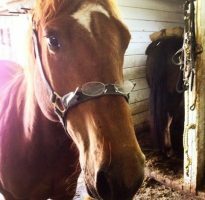 Each horse has a personality and fit for different aspects of the business, and we make sure both the horse and our guests are happy. 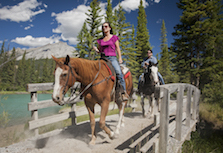 We’re ready for a Banff horseback ride – are you?